REGION — The latest in a series of controversial backcountry development projects to appear before the Planning Commission will be heard this week, nearly 15 years after the inception of its predecessor project. 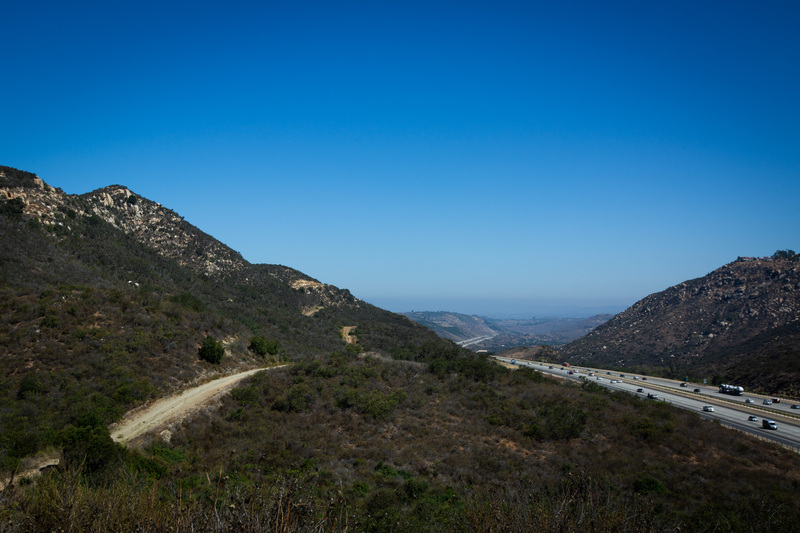 The Planning Commission on June 28 will decide whether to advance the Newland Sierra project — a master-planned community consisting of 2,135 units, 81,000 square feet of commercial space, open space, parks and trails — to the Board of Supervisors. Supervisors denied Newland Sierra’s predecessor, the controversial Merriam Mountains project, in March 2010. Developers of that project, which consisted of 2,700 residential units, first applied at the county July 9, 2003, nearly 15 years ago. Developers resubmitted the revamped project in 2015, and the county released the draft environmental impact report in mid-2017. The report, which comes in at nearly 1,800 pages, states that the project will have significant and unavoidable impacts to traffic, air quality, mineral resources, noise and increase in population. Some of the traffic impacts — including increased congestion along several major roadways, intersections and Interstate 15 — can be mitigated, according to the report. However several of the streets and intersections impacted are outside of the county’s jurisdiction and could only be fixed by Escondido, San Marcos or Caltrans. Newland Communities, the developer, issued a statement shortly after the release of the report in 2017 touting the developer’s commitment to environmental stewardship. The statement highlighted several features of the project that help make it the county’s first net-zero emissions community, including putting solar panels atop every home, a charging station for electrical vehicles in every garage, a community-sponsored shuttle with service throughout the community and the Escondido Transit Center and an electric bike-sharing program across the community. The project also sets aside nearly 72 percent of the acreage for open space. According to the environmental report’s summary page, the project is the first large-scale planned community in San Diego County to achieve a 100 percent reduction in the project’s construction and operational greenhouse gas emissions. A substantial group of residents have opposed the project since its inception, and the community groups in the impacted area have all unanimously voted in favor of the project’s denial, including the Twin Oaks Valley and Hidden Meadows community sponsor groups and the Bonsall Community Planning Group. Tom Kumura lives in the Twin Oaks Community Sponsor Group and serves on the group’s board. Speaking as a resident and not in his official capacity, Kumura said the developer’s highlighting of the project’s environmental benefits doesn’t take away residents’ concerns about the project. But the Planning Commission in recent weeks has voted in favor of several other controversial housing projects in rural and semi-rural communities, including the revamped Lilac Hills Ranch project and the Harmony Grove Village South project, both of which had substantial community pushback. Some opponents believe that the Board of Supervisors will ultimately approve the entire suite of projects in response to the state’s housing crisis, but they will fight the results in court. The meeting is scheduled for 9 a.m. June 28 at the County Operations Center (COC) Conference Center Hearing Room, 5520 Overland Ave., San Diego, CA 92123. What amazes me is that some of the people who are directly affected by the unsustainable over development in San Diego County are supporting this type of project. Apparently spending 20 percent of your waking life driving to and from work on freeways and streets designed to handle one fourth of the load they are now under is great way to live. Is this an experiment by evil scientists to find out how many rats you can actually fit in a cage? Look up foresight in the dictionary. It is the ability to anticipate outcomes based on past experience. How about exercising this ability?